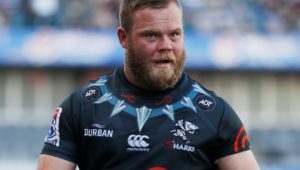 Sharks centre André Esterhuizen has credited a stint in Japan as a key factor to his impressive form this season, writes CRAIG LEWIS. Esterhuizen has always had size and strength on his side (he stands 1.94m tall and weighs in at 110kg), with these physical dimensions more commonly associated with a loose forward rather than a centre. However, in seasons gone by, there have been understandable questions raised over whether the talented 24-year-old was capable of adding some finesse and silky skills to his natural capabilities as a bulldozing ball-runner. 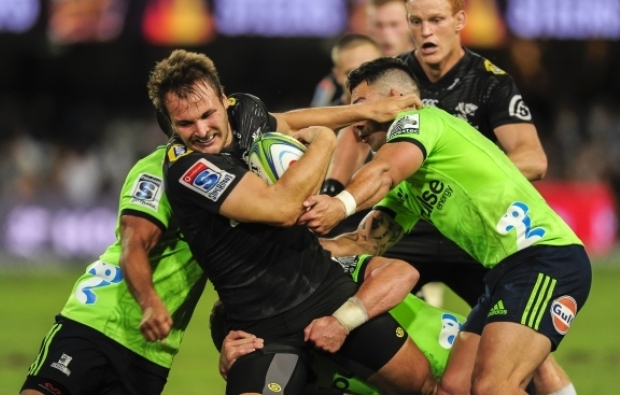 This year, those questions appear to have been answered, with Esterhuizen’s impressive ability to offload in contact having been central to the Sharks’ cause, while his kicking game has also clearly improved. 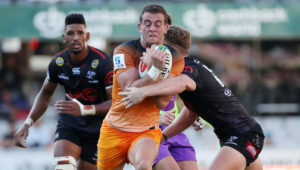 The impressive form and fitness of the burly midfielder has placed him firmly on the Springboks’ radar, with coach Rassie Erasmus having already invited Esterhuizen to a national alignment camp earlier this year. 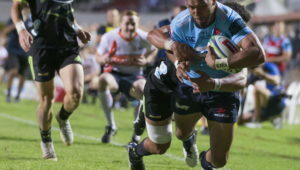 When reflecting on his season to date, Esterhuizen told Durban media this week that his time playing in Japan during the ‘off-season’ had been a career-defining experience. ‘The game was a lot faster over there, we ran out of our 22 and from everywhere. You had the freedom to play more rugby with less kicking and that helped me quite a bit. Esterhuizen said it had also been of real benefit to work with former All Blacks superstar Carlos Spencer, who is one of the coaches at the Sanix Blues. Turning his attention to Saturday’s highly-anticipated derby against the Bulls at Loftus, Esterhuizen hinted that the Durban-based side would be out for revenge after a humbling 40-10 loss to the same opponents earlier this season.